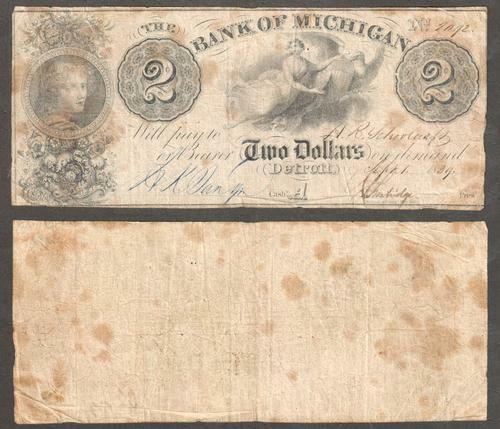 $2 1939 obsolete note with signatures you can still read. From the Bank of Michigan, Detroit. Note is circulated and has several pinholes when backlit.